In this second part of my 10 tips for cycle clothing success, I focus on how your clothing area should be arranged and the key investments you need to make to sell it. Brand and Category Presentation – Brands and their ‘stories’ are powerful and important and they should always be used to help present and sell products. A lot of money and time is invested in creating, building and communicating brands and creating fans and followers. Don’t undermine this by ranging and presenting clothing purely by category. But on the flipside, don’t frustrate someone who is just looking for socks or a raincoat. They want to go straight to that section and make a choice. Modern retail is a lot about streamlining the pathways to sale. You can satisfy both demands here by double presenting high volume garments such as socks, gloves, bibshorts etc. Present them in a category focused space, but also within their brand spaces. Present in Outfits – Next time you head out for a ride, check out the way more and more cyclists are dressing. Yes, we’re wearing outfits; matching tops and bottoms and quite often the accessories to go with it. This is partly inspired by the look of professional cyclists, but also more broadly by global sports fashion trends and marketing. Range and present in outfits. Your presentation will look more attractive, more compelling and lead to add on sales. What’s not to like about that? Presentation is King – Think about your favourite clothing stores for a minute. The clothing is neatly hung, in the same direction, on attractive, uniform hangers and in the same way. The garments are in the right brand/section, in size order and not in a pile on the floor or counter. Key garments are also typically fronted for optimum visibility. There’s only two reasons this shouldn’t be the case in your clothing section; you’re lazy and you don’t care about selling clothing. Sorry to be blunt, but no excuses here folks. Invest in the Clothing Space – And those stores you like to buy your clothing in; did you notice the flattering mirrors, the good lighting, the clean flooring, the tidy change rooms, the creative merchandising, shifting of eyeline, the mannequins, the seating and the inspiring imagery? Good. Ask and indeed, expect support and co-investment from your core suppliers on this front. Remember, it’s in their best interest too. It’s also a good test of how much each supplier values your support or indeed the brand they represent. Invest in your Sales Staff – And last but not least; one of the most critical and rewarding investments you can make in terms of success with clothing sales, is to invest in the (ongoing) training of your shop staff. Most bike shop staff wouldn’t know how to hang a pair of bibshorts, let alone give a convincing sales presentation on its features, benefits and points of difference. Selling and presenting clothing doesn’t come naturally to most people; even the very best sales people will benefit from clothing specific sales training. Again, this is where you should be asking, no, making mandatory, for your clothing suppliers to provide training to your staff; not just on the technical features and selling points of their garments, but also on how to fit customers, partner-sale, up-sell and re-hang. Another opportunity for your supplier to step up. 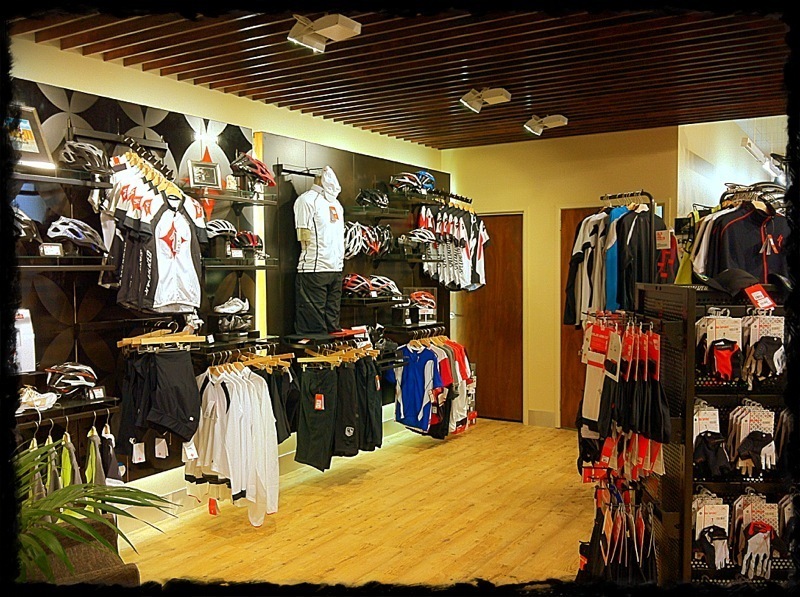 Clothing is the big untapped category in bicycle retail. Time to tap into that potential and breathe life into your clothing section. There’s plenty more tips I could have added here and I’m sure there are plenty more you could add as well. So be sure to pass on your own tips for cycle clothing success. Next Post Here’s something bicycle retailers won’t want to hear.